For all his fame and success, 21 Savage isn’t someone who has lost himself, but an artist maturing into a man who is striving to create change. Photo Credit: Yantay S. "Villain"
On the corner of 4499 Glenwood Road in Decatur, Georgia stands a Mrs. Winner’s Chicken & Biscuits. It&apos;s one of four remaining locations, the last to be found in Metro Atlanta, not located on the city’s outskirts. The pale, chipping paint gives the establishment an ancient air like it’s been rooted in the Decatur concrete for longer than a lifetime. This very Mrs. Winner’s appears in the first episode of FX’s Atlanta: Robbin Season. With their award-winning series, Donald Glover and his staff of writers have made landmarks out of what would otherwise go unnoticed—the ordinary becoming monuments. As I walked past the building, catching a pleasant whiff of fried chicken aroma, the show&apos;s iconic opening scene came to mind. How the kids ordered their food, nothing too unusual. Then came the guns as the drive-through window opened; they seemed so innocent when playing FIFA, but turned out to be more Bishop than Quincy. The unforeseeable climax is what Atlanta the city shares with Atlanta the show: the seeds of chaos can sprout at any given moment. Ironically, shortly after passing Mrs. Winner’s, I read about a shooting that happened the night prior. After telling my mom I would be interviewing 21 Savage at his third annual back-to-school drive, she shared the story. “Man shot at back-to-school event attended by rapper 21 Savage,” reads the Channel 2 News headline. The article details an unfortunate incident at Conan Park in Southeast Atlanta on the site of Zone 6 Day, an event organized by Big Bank Black, an East Atlanta native and CEO of Duct Tape Entertainment. Future and 21 Savage—two Atlanta rappers from the Eastside—both donated to and attended the event, which is dedicated to comradery, community, and celebration. Sadly, the shooting that ended that event was wrongfully attached to 21&apos;s Issa Back to School Drive. One of 21’s co-managers, Kei Henderson, took to her Twitter to rightfully separate his name from the sour situation. The back-to-school event took place in the Glenwood Shopping Center parking lot shared by Club Libra and the local flea market. When I arrived, around 2:00 p.m., the line was long enough to be confused for a Best Buy on Black Friday. Families, specifically black families, arrived in droves to receive school supplies, haircuts, and hairstyles for girls. There was a moon bounce, a stage, video games, and lots of BBQ food. Towels rested over the faces of most due to the sun being out in all her silent fury. My iPhone weather app claimed it was only 92 degrees, but it felt much closer to 99. Dusty and aggressive, the heat was as fiery as 21&apos;s contribution to Travis Scott’s ASTROWORLD. Sweat soaked my shirt as though I was being baptized in perspiration. The friend who accompanied me nearly fainted while baking in the complimentary barbecue line. No mercy was given by the clouds; no shade or breeze came to save our smoldering souls. Thankfully, the Issa staff made sure to keep those waiting in lines hydrated with an abundance of water. Every 15 to 20 minutes someone was refilling coolers with ice, passing out bottled waters, and guaranteeing the sun’s tirade didn’t get the best of us. Watching as the kids danced on stage was funny, their bodies drenched in sweat but unable to resist the urge to whip and Nae Nae. The sun would not ruin their last day of summer break. 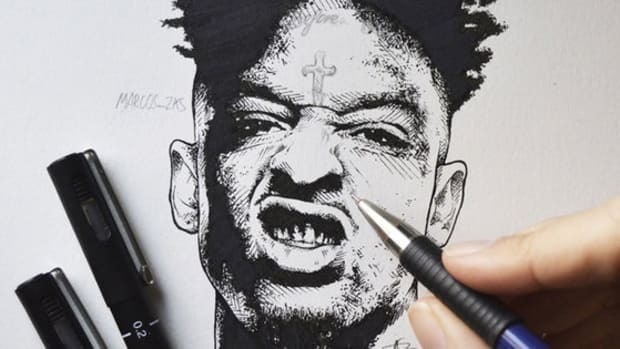 When the DJ played 21 Savage’s “Red Opps,” the rapper&apos;s breakout street single from 2015, it was the first time I heard the clean version. Removing the cursing doesn&apos;t scrub away the song&apos;s menacing tone, but watching a group of jubilant children happily shout "Slaughter Gang" turned a monstrous single into a Mickey Mouse sing-along. Before giving away tickets to the annual Streetzfest 2018 concert, the DJ encouraged a “We love you 21” chant. They shouted back each time more energetic than the last. I received a text at 3:30 p.m. that 21 had arrived. Our interview would be conducted behind the stage where a makeshift step and repeat backdrop was made. About 30 of us were huddled together in a scorching circle as if watching a fight on the playground. 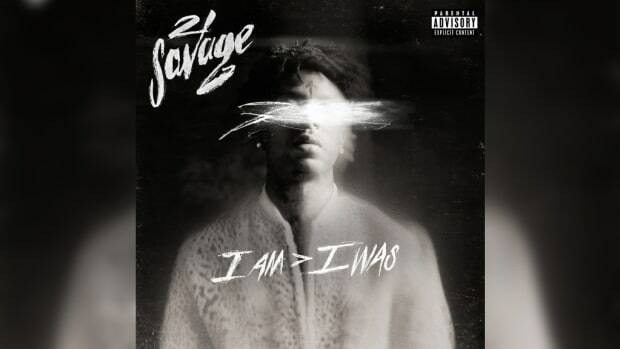 There was no fight, just 21 Savage staring back at us with a face that’s hard to describe. He wasn’t irritated or joyous, perturbed or uninterested—he was aloof at best, but still engaging. He didn’t make you feel unwanted; 21 is someone who knows exactly why we’re all here. He wore no jewelry other than his diamond earrings. In February, the 25-year-old rapper explained why, instead of spending money on jewels, he planned to invest his hard-earned paper into real estate and other business ventures; a step toward being a leading example of financial literacy. Not even a designer shirt covered his A-shirt, the most casually dressed man at his own event. Media were called one by one to ask a few questions. Vibe was present, as well as someone from HotNewHipHop. There were plenty of local sites and blogs, too, everyone anxious to get their questions answered. It was too hot to remember names or faces; the Sahara desert had nothing on Glenwood Road. When they called for DJBooth, I wedged through the crowd of men, women, and cameras to reach the front. Before I stepped forward, a man from CBS made his presence known. Justin “Meezy” Williams, 21’s co-manager, let me know I’d be next. The elder white man from CBS forced his way to the front, swinging the rocket launcher of a camera on his shoulder with such careless force I was almost knocked over (apologies to the well-dressed woman who I backed into). With the camera pointing in the famous rapper’s face, the elder white cameraman asked, “What is your reaction to last night’s incident?” With a few words I couldn’t make out, 21 answered without appearing physically bothered by what was said. The question was asked without any follow-up about the third annual Issa Back to School Drive, or 21’s Bank Account Financial Literacy campaign, or the Leading By Example Foundation. This day was an opportunity to broadcast the substantial amount of good being done by a rapper who didn’t come from positive beginnings, and yet, the sole focus of this man&apos;s inquiry spotlighted an unrelated act of violence. 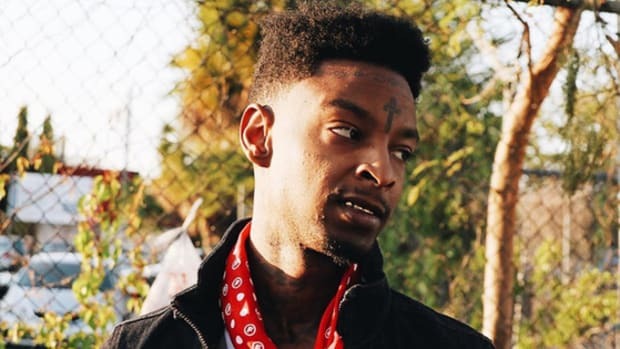 Once again, 21 Savage was being tied to negativity, and the reason why is obvious. The moment reminded me of an article I wrote about Chief Keef in 2016. No matter how much the troubled Chicago rapper changes, the cameras will be there for his fall; virtues are ignored and faults are enlarged, even the faults you don’t commit. 21 Savage’s reality is no longer the terrifying one I wrote of in November 2015, but what good is change if the butterfly will only be treated as a caterpillar? 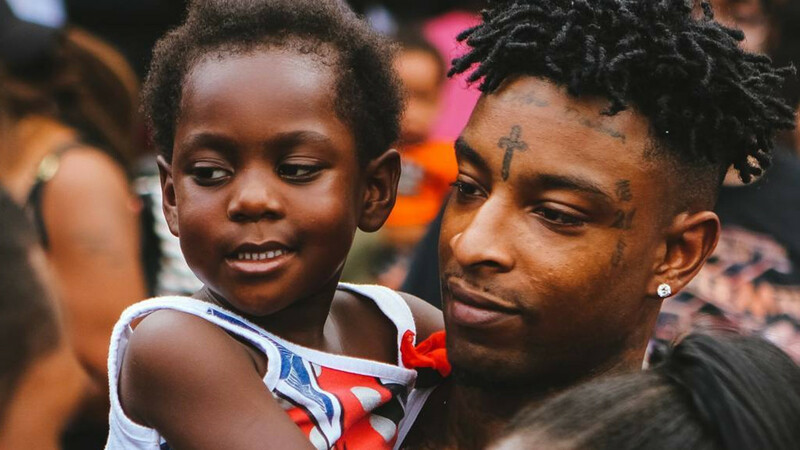 21 Savage’s giving nature is an act of gratitude. He confessed to me that growing up without—and not having anyone to provide—support is what inspires his charitable actions. When a child attending the event confided in the “Bank Account” rapper about not having enough money to buy his own basketball, 21 retreated to his belongings and presented the young man a $100 bill. In total, more than 2,500 kids attended the event, as reported by the AJC, and were able to obtain supplies for the new school year, double the amount of last year&apos;s turnout. 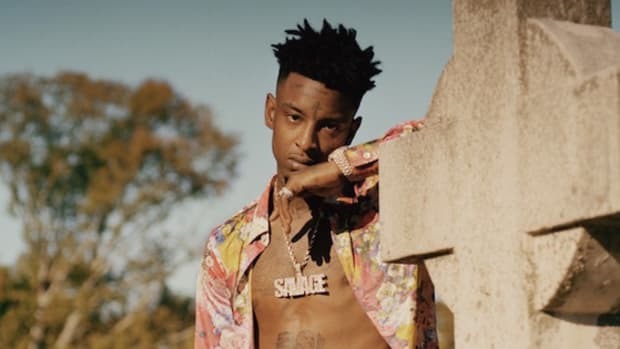 Minor as the moment might be, it is one of many that have continued to display the impression 21 Savage hopes to leave on his community beyond providing new music. He is, at best, providing a sense of hope in the very place where he was once hopeless. Another contrast between Atlanta the city and Atlanta the show: how seeds of hope can be planted in places where hope doesn’t exist. 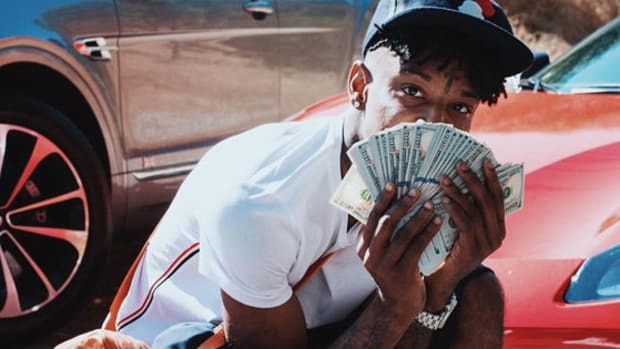 Paper Boi is art imitating life, a life 21 Savage can relate to. Giving back is a decision, not a requirement. Being present is a choice, not a prerequisite for celebrity. For all his fame and success, 21 Savage isn’t someone who has lost himself, but an artist maturing into a man who is striving to create change. Not just personal change, but spreading good fortune in hopes of changing the lives of others as well. Actions will always speak louder than words, and that includes lyrics. 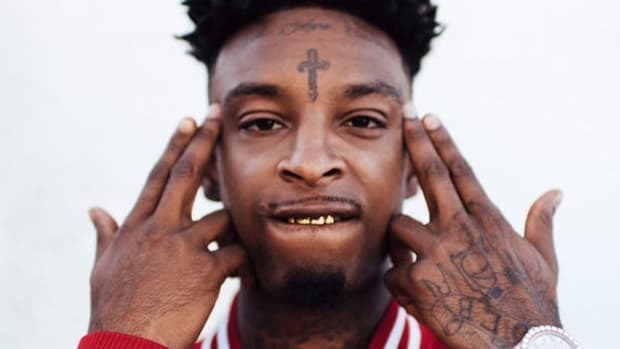 To see 21 Savage only for records like “Red Opps” or any number of his other hit songs, and not acknowledge what’s being done through his Leading By Example Foundation, would be overlooking the duality of who he is as a person. 21 Savage is a book to be read, not a cover to be judged. Consequence and karma have been a big part of 21 Savage's life and blossoming career. 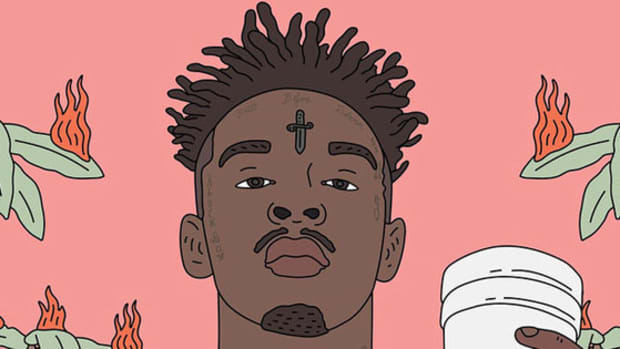 Without question, this is the year 21 Savage entered the big league as rap's new bad guy. Death rules everything around 21 Savage. The most authentic street rapper continues to keep it realer than most on his major label debut. "Fam, I’m no longer on this earth." 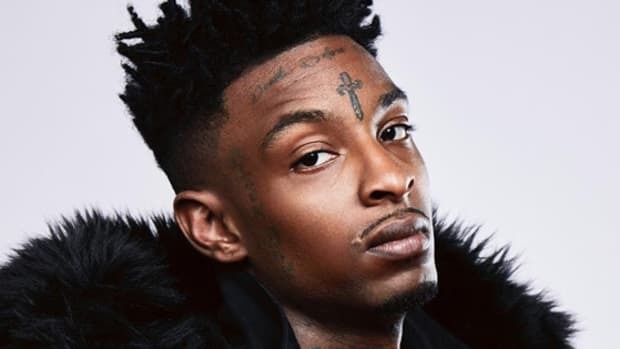 21 Savage owns his masters because he leveraged proven success in his contract negotiations.